December 1, is our Safety First Day of the Month and one of our Community Risk Reduction programs. This day is primarily designated as a reminder to test your smoke and carbon monoxide (CO) alarms to ensure they emit that life saving alert. Simply press to test button on the front of the alarm. Of course everyone’s alarm is going to work because we just provided fresh batteries in your alarms in November, remember, Change Your Clock - Change Your Battery??? If you hear the audible warning – you are good for another month. No audible warning?? – provide a fresh battery in your alarms and re-test. Audible warning?? Yes – you are good until next month!!! No tones – remove the alarm and replace it with a new 10-year alarm. On January 1, 2018, all battery powered smoke alarms will be required to be 10-year, with hush feature, smoke alarm. These 10-year alarms will help to save lives by always having working smoke alarms. You will still need to test monthly. While you’re tending to your alarms – remove any dust or other particles from your alarm by dusting or using a vacuum. Remember these alarms could be the difference between life and death of you and your family. Neighbors Helping Neighbors - Keep in mind that some of our neighbors may not physically be able to reach their alarms to test or change batteries. If you have senior citizens family members or neighbors, please, perform this lifesaving function for them. They may not ask for help but they certainly could use some. Anyone that can not afford to purchase their own 10-year smoke alarm or batteries to rejuvenate your 9-volt alarms may call 311 and make arrangements for a firefighter to visit your home and install these life saving items for you. Remember that it is now a law for homes that have gas service, fireplace and/or an attached garage are required to have CO alarms. 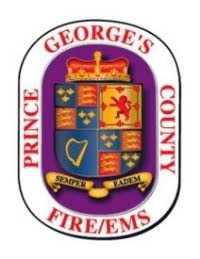 The Fire/EMS Department strongly endorses the use of 10-year, tamper proof with hush feature smoke and CO alarms on every level of your home, outside of sleeping areas and in every bedroom. Be ever mindful of cooking and remaining in the kitchen if using the stovetop or broiler. Unattended cooking is the leading cause of fires and fire related injuries. Candles should be used with extreme caution. Keep them away from items that can burn and never leave them burning in a room unattended. Inspect cords and bulbs on electrical holiday decorations. If cords are frayed or have wires showing, discard them and purchase new ones. No good reason to try to get “just one more year” out of damaged decorations when you consider the consequence of a home fire. Live Christmas tree??? Pick one that is fresh and where needles do not fall off in your hand. Cut about ¼ to ½ inch from the bottom of your tree and immerse in an appropriate sized tree stand filled with water and remember to fill the basin up everyday – sometimes even twice a day. Clear clutter from around your furnace and water heater. Remember to unplug all decorations at night. Never overload extension cords or power strips. Electrical cords can overheat and ignite a fire. Additional detailed information will be posted as we move through the Holiday Season.